One of the ultimate goals in biology is to understand the design principles of biological systems. Such principles, if they exist, can help us better understand complex, natural biological systems and guide the engineering of de novo ones. Toward deciphering design principles, in silico evolution of biological systems with proper abstraction is a promising approach. Here, we demonstrate the application of in silico evolution combined with rule-based modeling for exploring design principles of cellular signaling networks. This application is based on a computational platform, called BioJazz, which allows in silico evolution of signaling networks with unbounded complexity. 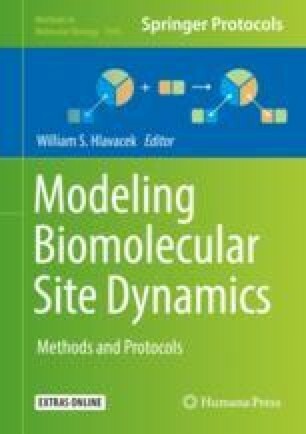 We provide a detailed introduction to BioJazz architecture and implementation and describe how it can be used to evolve and/or design signaling networks with defined dynamics. For the latter, we evolve signaling networks with switch-like response dynamics and demonstrate how BioJazz can result in new biological insights into network structures that can endow bistable response dynamics. This example also demonstrated both the power of BioJazz in evolving and designing signaling networks and its limitations at the current stage of development.